With a personal sized backyard greenhouse, a gardener can grow a greater variety of plants much earlier in the season as opposed to waiting to cultivate an outdoor garden. It also allows you the opportunity to grow plants and vegetables year-round. 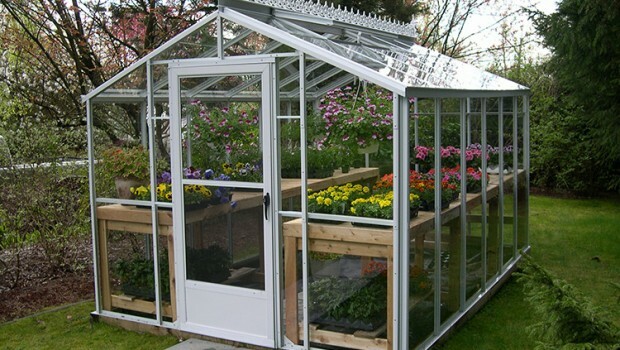 A greenhouse provides shelter for the gardener to work during bad or cold weather and protects the plants from severe outdoor elements while providing the warmth needed for the plants to grow. Most plants can sustain a cold temperature down to 45 degrees F during nighttime. With access to a greenhouse many varieties of fruits and vegetables can be grown. Tomatoes are the most popular plant grown by gardeners. You’ll provide your family with vegetables that are also healthier and even chemical free. Your nutritious homegrown veggies always taste better than store-bought vegetables do. There are a multitude of greenhouse sizes and shapes to choose from no matter what your budget it. Free standing models stand alone in your backyard, or there are lean-to home attached styles that attach to an existing wall. 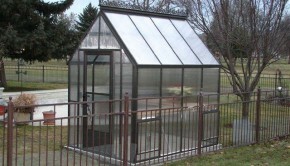 Always select a greenhouse frame that is made from aluminum whenever possible as these frames are maintenance free and many come with a lifetime warranty. This is a much better option than a frame made from resin, plastic or wood. Glazing materials usually include twinwall or fivewall polycarbonate and single or double tempered glass. Fivewall polycarbonate is the most energy efficient, followed by double glass, then twinwall polycarbonate and single glass. Greenhouse tip – you can provide more heat efficiency by draping a plastic wrap on the inside of your greenhouse. Some people use bubble wrap for this purpose. 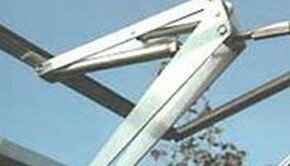 Simply clip it onto the greenhouse frame to keep your greenhouse warmer during colder months. By choosing an appropriate size for your backyard, a greenhouse can enhance the entire look of your garden and can actually become the main attraction. Whether for practical purposes or for cosmetic reasons, the active gardener cannot go wrong with a personal sized backyard greenhouse. Remember, always order one larger than what you think you need. Most gardeners wish their greenhouse was a little larger! Your post, Greenhouse Gab | Let’s get growing!, is really well written and insightful. Glad I found your website, warm regards! The info on this site is really quite invaluable. I have learned a number of tips and tricks.